Before you go charging into battle, it is important to be sure that you have covered all parts of the body in armour, including the wrists and forearms. Few pieces of armour are as sure and sturdy as the Simon Leather Bracers. These leather vambraces are simple yet stylish, their unornamented forms offering a classic look to any armoured ensemble. They are also flexible and lightweight, so they will not weigh you down in the heat of battle. 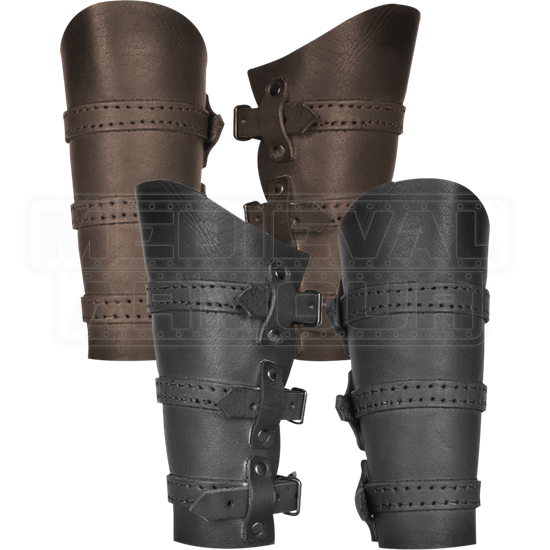 Each bracer is spanned with three sewn leather straps, which buckle in the back, allowing the bracers to be worn and removed with ease. These straps also offer a great degree of adjustability. 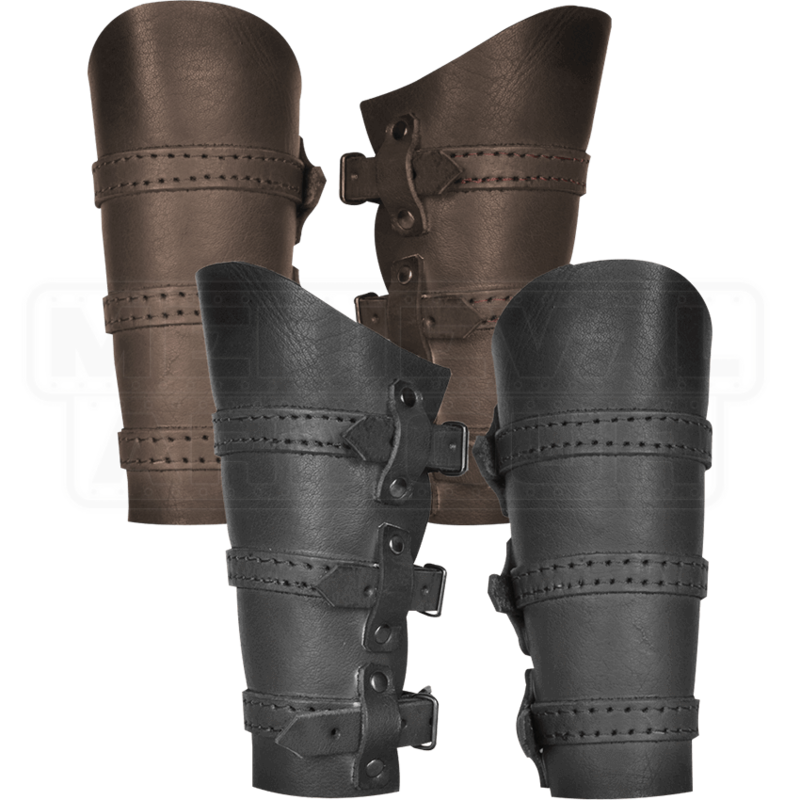 The Simon Leather Bracers come in black or brown, making them a versatile piece of armour that is sure to exquisitely complement any medieval or fantasy outfit.